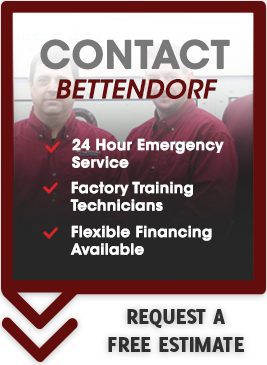 When you need expert air conditioning maintenance, Bettendorf Heating & Cooling is your answer to outstanding and reliable service in LeClaire, IA. As with our other HVAC services, we offer affordable AC maintenance and repair services for our LeClaire, IA, customers. It's always a good idea to have us perform a careful inspection of your AC unit before the hot weather strikes. We can typically spot signs of wear and tear on your unit before they can lead to a costly—and uncomfortable—breakdown. Bettendorf Heating & Cooling features a full line-up of HVAC services. Our air conditioning maintenance services include inspection and troubleshooting for all residential makes and models. Our goal is to keep your unit operating smoothly from one year to the next. We'll keep a careful log on all the inspections and services we provide for your unit. We'll also let you know up front if any repairs or replacement parts are needed to keep your AC unit functioning optimally. Our tech will arrive on time with commonly needed parts in order to make any necessary repairs on the spot. 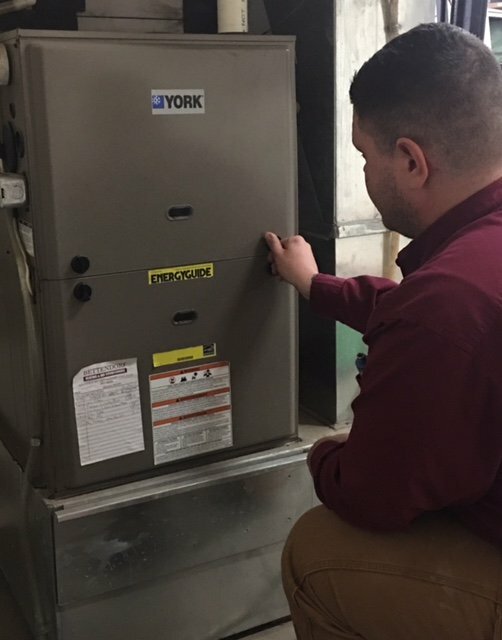 Bettendorf Heating & Cooling features top-notch service technicians who have the experience to provide all of our HVAC maintenance and repair services. Our techs are professional, certified, and committed to performing their best for each and every job. You can rely on their experience and expertise as they inspect your AC unit. When it comes time to replace an old and unservicable AC unit, you can consult with them about the best energy-efficient models for your particular home. Bettendorf Heating & Air Conditioning routinely has technicians in the LeClaire area. We can schedule AC maintenance at your convenience. Be sure to call us if your unit begins to make unusual noises or fails to cool your home optimally. We can be there to troubleshoot the problem so that it doesn't cause any further issues. We want you to get as much value from your unit as you do! When we maintain and repair your AC, we'll care for it just as if it was our own!